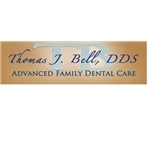 Thomas Bell (La Grange) - Book Appointment Online! Dr. Thomas J. Bell, DDS of Hillgrove Dental Carehas been providing high quality dental care in the Cicero, Hillside, and La Grange area for over 30 years. We are committed to making sure your smile looks and feels its best. Our practice takes pride in being caring and timely. The dentist will give you his full attention and he will take care to understand your concerns and answer your questions fully. Please feel free to explore our website to learn more about our practice or call today to schedule an appointment with our La Grange dentist, Dr. Bell. We are a family-owned and operated local dental practice providing comprehensive dental care for families of all ages. Our practice is warm and welcoming, and we look forward to becoming your favorite dentist in La Grange IL. Our practice offers a wide variety of dental services catered to fit your personal needs. Our services include cosmetic work, restorative care, and hygiene. So whether you are looking for a dentist in La Grange and the surrounding areas to provide regular hygiene services or hoping to completely restore your smile, we can help. Our La Grange dental office works with several dental insurances and we accept most PPO plans. In addition, we offer financing for our patients through Care Credit. We also accept most major credit cards including MasterCard, Visa, and Discover. Please feel free to call us with any questions about whichpayment plans are available to you. Fast, convenient, and Dr. Bell did a good job explaining what was going on.